On June 2 and 3, the music department welcomed Cristle Collins Judd and a host of internationally recognized scholars for “Tonal Structures in Early Music at Twenty,” a conference dedicated to assessing the impact of Judd’s influential book twenty years after its initial publication. An important collection of essays, many of the book’s featured authors came to Brandeis to offer talks on the current state of the topics they addressed therein. The conference was organized by the Early Music Analysis Interest Group of the Society for Music Theory (SMT). The music department sponsored a wonderful closing reception, and local arrangements and planning were handled by Eric Elder, a candidate for the PhD in Musicology at Brandeis. 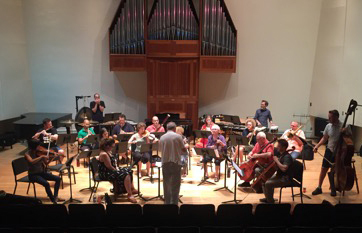 In late July and early August the department hosted the thirteen-day Composers Conference at Brandeis. Previously known as the Wellesley Composers Conference, it has now relocated to Brandeis. Under the artistic direction of Pulitzer Prize winning composer Mario Davidovsky the conference consisted of ten specially selected composer fellows working with guest composers Rand Steiger and Alex Mincek, performances by a professional ensemble led by James Baker (principal percussionist of the New York City Ballet Orchestra), a contemporary performance institute directed by cellist Fred Sherry (founder of TASHI and Speculum Musicae), and a chamber music workshop. The Composers Conference has played a pioneering role in the performance of new works by emerging composers. Founded in 1945 by Alan Carter at Middlebury College, the conference has served nearly eight hundred composers and many more chamber musicians. It is considered the oldest and one of the most respected programs of its kind. 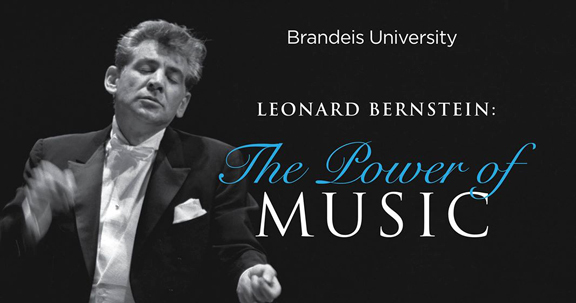 The Music Department is a co-sponsor of the exhibition Leonard Bernstein: The Power of Music, which will be on campus from October 4 – November 20. The exhibition, which centers on Bernstein’s life, Jewish identity and social activism, includes artifacts and photographs on loan from the composer’s family, materials that document his time in Brandeis and in Boston, items from the University Archives, documentary films of him conducting and a video of a live performance of Mass, which will be on view in the Slosberg Music Center lobby. The exhibition is free and open to the public. 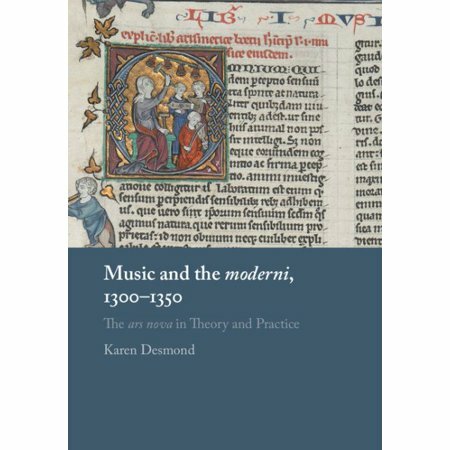 Musicologist Karen Desmond’s new book Music and the moderni, 1300 – 1350: The ars nova in Theory and Practice has been published by Cambridge University Press. In it Professor Desmond explores how individuals were involved in ‘changing’ music in the early fourteenth-century France, and the technical developments they pursued that precipitated this stylistic change. Jazz bassist and Brandeis Jazz Ensemble director Bob Nieske joined with his colleague clarinetist Billy Novick to kick off this season’s Music at Mandel Series. With music by Antonio Carlos Jobim, Duke Ellington, Wayne Shorter, Richard Rogers and others Bob and Billy display amazingly rich and intricate counterpoint as they develop each song into a unique composition. The Music at Mandel Series continues this fall with th Lydian String Quartet (October 10), MusicUnitesUS: A Taste of Ghana (November 14), and Brandeis Improv Collective Showcase (December 5). Composer David Rakowski had a busy and very productive year while on sabbatical from Brandeis. He completed Symphony No. 7, for orchestra, four movements: Water, Air, Earth, Fire. “Water” movement premiered by New England Philharmonic April 28, 2018. Full symphony to be premiered April 27, 2019; Dream Logic, for flute/piccolo, clar/bassclar, violin, cello, percussion, piano/toy piano/melodica for New York New Music Ensemble; 33 minutes of Piano Concerto No. 3; Lee, for fl/picc, oboe, clar/bassclar, asax/barisax, horn, 2 percussion, harp, piano, string quartet. commissioned by the Grossman Ensemble in ChIcago, premiere on December 7 2018 at Logan Center for the Performing Arts, Chicago; Eighters Gonna Eight, for 2 pianos 8 hands (Sarah Bob, Don Berman, Geoffrey Burleson, Marilyn Nonken); and six piano preludes: Paprika (#71, 2017,) pour Talia Amar, Mustard (#72, 2017), White Pepper (#73, 2017), Asafetida (#74, 2017), Cayenne (#75, 2018) and Jalapeño (#76, 2018). Davy also participated in four artist residencies: Yaddo (Saratoga Springs, NY) Oct.-Nov.; MacDowell Colony (Peterborough, NH) Jan.-Feb.; Bogliasco Foundation (east of Genoa, Italy) Mar.-Apr. ; and Virginia Center for the Creative Arts (Amherst, VA) May-June. 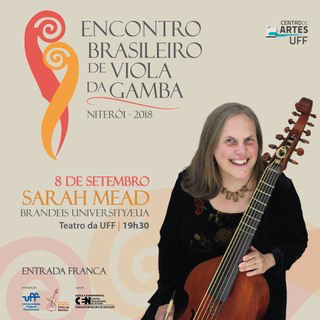 This September marked the third annual meeting of the Brazilian Viola da Gamba Society. "Encontro 2018" was held in Niteroi, Rio de Janeiro, at the Universidade Federal Fluminense (UFF). About 40 players and teachers of the viola da gamba attended, from all over Brazil. Over the course of three days there were classes for small and large ensembles and several concerts. Saturday night's concert featured Sarah Mead, playing music for solo and accompanied lyra-viol with several local players. At the final student concert Sarah also led the entire group of students, from new to experienced players, in two large pieces. 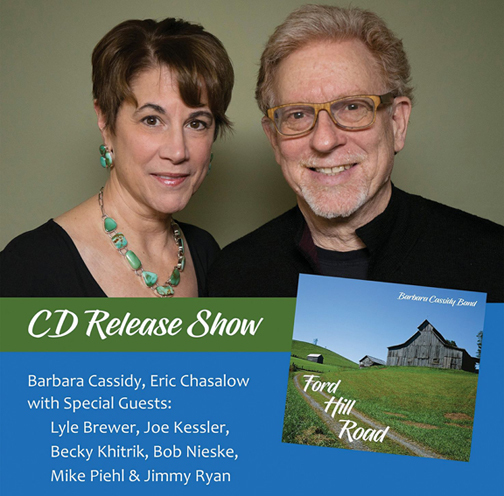 Composer Eric Chasalow has teamed up with his wife Barbara Cassidy to form the Barbara Cassidy Band. Barbara is the principal composer, lyricist and singer on a newly released album Ford Hill Road. The song’s arrangements are by Eric, who plays multiple instruments and sings on the album (Eric composed the music to three of the songs as well). They are joined by a superb group of musicians including our own Bob Nieske on double bass. Their recent cd release performance was at the well-known venue The Burren in Somerville, MA. In September composer Inga Chinilina premiered her composition, Desolation, within the Open Space Composers Laboratory. The international composers laboratory Open Space is held by “Russia”, the state’s academic Russian folk ensemble as well as by The Roscosmos State Corporation for space activities. The project is dedicated to enriching our interaction with space through art, to develop a new approach to composition, and to create new performance techniques with Russian folk instruments. The selected composers created new works in close collaboration with the Russian folk ensemble and the astronauts. 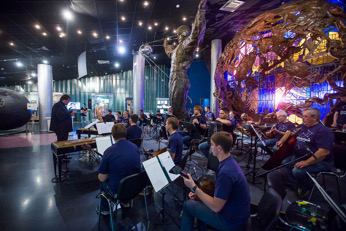 The final concert was held in The Memorial Museum of Cosmonautics next to a statue of Yuri Gagarin (the first person in space). Visitors were able to virtually attend the International Space Station using VR-glasses. A studio album of the music from the concert is scheduled to be released in the Spring of 2019. Eric Elder, PhD candidate in musicology, presented a paper titled, "Rudolph Reti and Alfred North Whitehead: Parallels in Process” at this year’s November joint meeting of the Society for Music Theory and the American Musicological Society in San Antonio. The topic of the paper is the controversial early-twentieth-century Viennese-American composer and music theorist, Rudolph Reti. From the first reviews of his 1951 book, The Thematic Process in Music, Reti has been charged with all manner of infractions, from ignorance of basic harmonic function to plagiarism. But despite constant and nearly unanimous dismissal, Reti's work continues to be cited today. In his paper, Elder argues that Reti's theory has survived, in part, because it is more systematic than anyone has heretofore realized. Further, by applying the cosmological constructs of mathematician and philosopher Alfred North Whitehead, Reti was updating the musical organicism that he inherited from the likes of Heinrich Schenker and Arnold Schoenberg, renewing its relevance as a creative model in the world of Einstein, relativity, and quantum theory. Jacques Dupuis and Eric Elder, both candidates for the PhD in Musicology, presented their research at the University of North Texas’s 2018 GAMuT Conference, which was held on September 29. Jacques read his paper, “Robert Schumann and die Unverständlichkeit,” and Eric read his “Multileveled Conflict in Mahler’s First Symphony: A New Formal-Hermeneutical Analysis.” Both papers were very well received. Dr. Janet Schmalfeldt, Professor Emeritus at Tufts University and author of In the Process of Becoming: Analytic and Philosophical Perspectives on Form in Early Nineteenth-Century Music, delivered a keynote address on aspects of narrativity in Schumann’s music. Musicologist Jacquelyn Sholes PhD ‘08 has just had her book Allusion as Narrative Premise in Brahms's Instrumental Music published by Indiana University Press. By “analyzing newly identified allusions alongside previously known musical references in works such as the B-Major Piano Trio, the D-Major Serenade, the First Piano Concerto, and the Fourth Symphony, among others, [Jacquelyn] demonstrates how a historical reference in one movement of a work seems to resonate meaningfully, musically, and dramatically with material in other movements in ways not previously recognized.” Jacquelyn is Assistant Professor of Music History, Central Connecticut State University, and Affiliate Scholar, Center for Beethoven Research at Boston University.